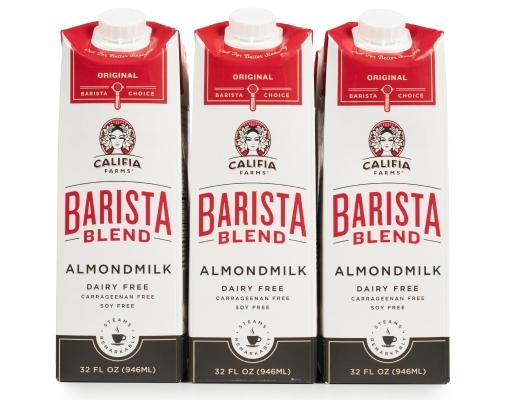 Califia Farms specially formulated a version of their beloved Almondmilk, just for baristas. Easily create full-bodied foam, better latte art (better stretching), and stay dairy-free without the sacrifice. Make the switch to dairy-free more delicious than you ever thought possible with Califia Farms. 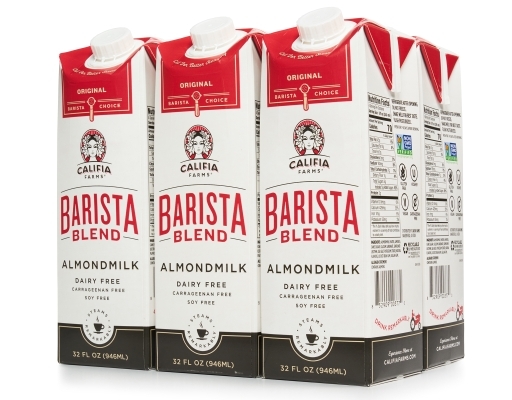 Their selection of pure almondmilks is infused with plant-based nutrition to keep you and your family healthy. 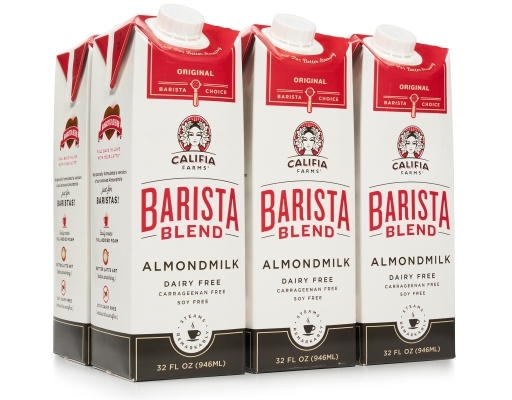 The ingredients in vanilla almondmilk and other plant-based milks from Califia Farms are all sustainably sourced and totally natural. 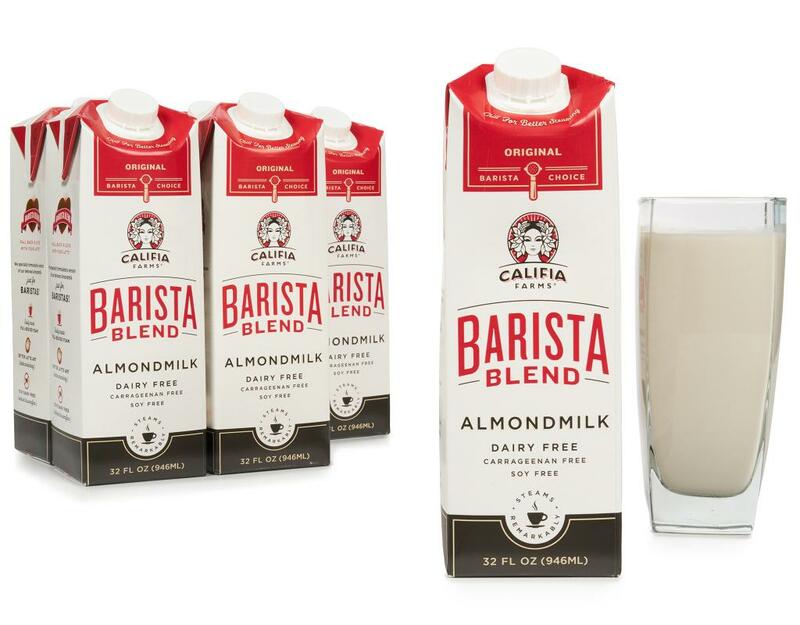 It's everything you thought milk never could be, including dairy-free, soy-free, gluten-free, carrageenan-free, non-GMO and BPA-free. It's even kosher and vegan-friendly, and it has 50 percent more calcium than milk. It certainly doesn't hurt that it comes in a lovely bottle as well. With Califia Farms Almondmilk, your idea of what milk should be will be turned on its head - in a good way. Don't hesitate to ditch the dairy because you're worried about the difference in flavor. 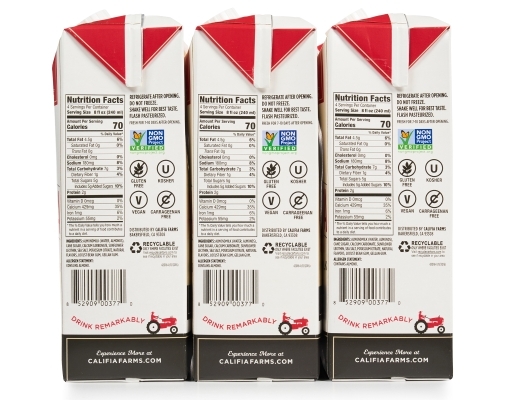 With Califia Farms, there's no compromise when compared to other milks. In fact, you'll likely find yourself blown away by the ultra-creamy goodness found in every bottle. 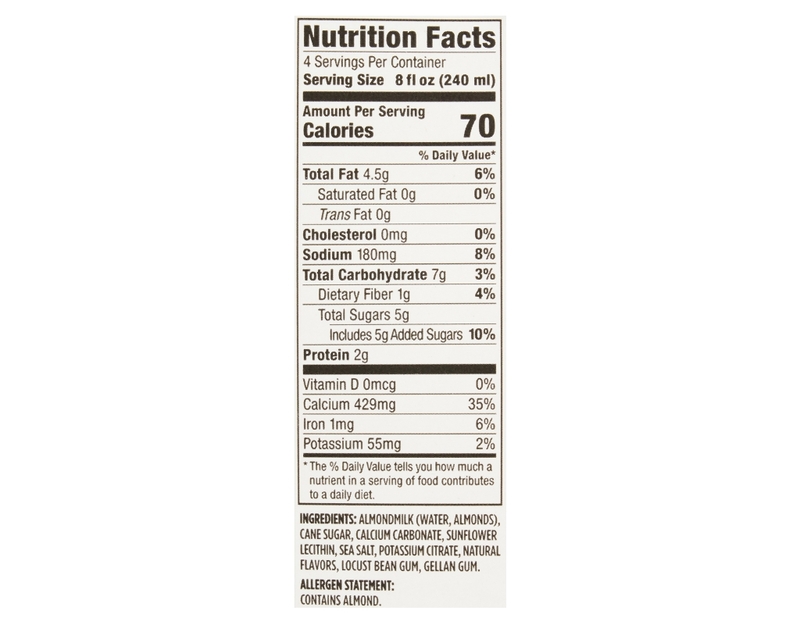 Pour it over your favorite cereal, add a dash of it to your coffee or pair a glass of it with a warm cookie. No matter how you enjoy almondmilk, you'll fall hard for the delicious flavor and creamy taste.